How do Professional Players practice ? "I didn't know that !" Suppose you shot successfully about 2 times out of 3 shots. 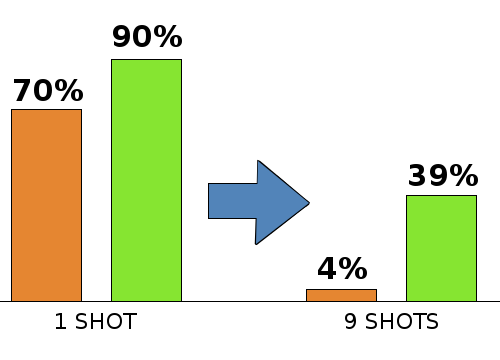 your average success rate (for each shot) is 70%. That means you can shot successfully about 2 times out of 3 shots. Then, how much is your run-out rate ? The answer is only 0.04 ( 4% ). You have almost no chance to run-out. 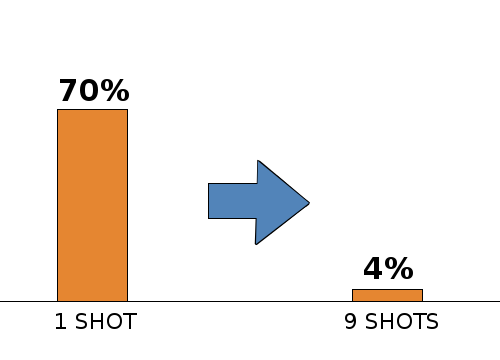 your success rate (for each shot) must be better than 70%. At least 80%, or 90% if possible. © 2011 Billiard Exercise Diary. All Rights Reserved.